Open fire cooking is an art that has been developed around the world for centuries and it is fascinating to see the different systems mankind has come up with. I like gadgets as much as the next guy, but the list of gadgets when it comes to camping or survival is endless. The reality is that in order to survive you really don’t need much and can easily make your own gadgets that will do the job as well as or better than many high tech options. Cooking over a fire is no exception, and you don’t have to lug around pricey equipment to cook a meal outdoors. For example, the Swedish Fire Torch is easy to make, effective, and multi-purpose since it can be used for cooking, light, and heat. Best of all, you can make it with simple tools using wood and logs from your yard or the woods. The Schwedenfackel, also known as the “Swedish Torch” is an amazing little invention. Little is known about the origin of the Swedish torch, but the most popular history is that it was invented by soldiers during the “Thirty Years War.” The Thirty Years War began in 1618 and ran through 1648. It is an important case study for those of us who prep for “WROL” (without rule of law). This war was a disjointed series of battles where the militaries involved were required to support themselves. They did this by exacting tribute and just plain stealing from the people where they were operating. They were reduced to roving bands of hoodlums, with the blessing of the king. Firewood was hard to come by during the war, so the idea was to get the most bang for your buck out of a small amount of firewood. All you needed was one round of wood and you could cook dinner and light the camp for at least an hour. The militaries found that the Swedish fire torch was an effective way to conserve wood but still meet their needs for cooking and light. I like to use the Swedish Torch when I go firewood cutting. There are several ways to make a Swedish Torch. 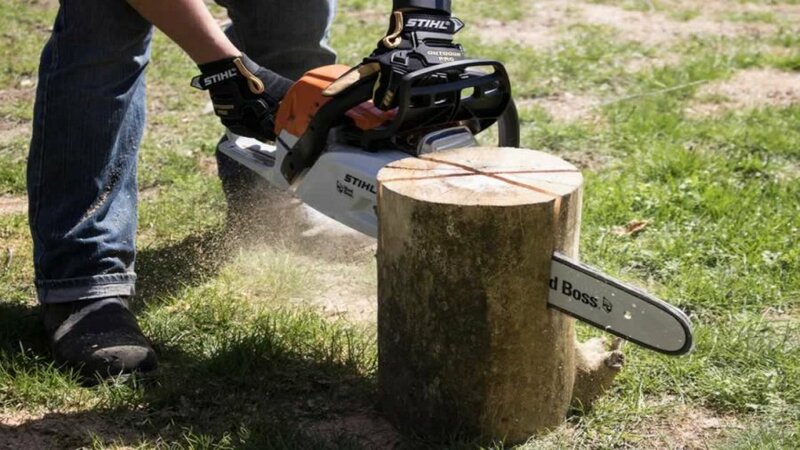 You can use an ax, hand saw, or chainsaw. One is to drill a hole in the middle of the round and light a fire in the hole. Most folks though do not carry an auger with them so this option is not really practical. The second is to split the round in four using an ax, then reassemble the round with the pieces out of order then light it up in the center. The third option is to split the round in two and then one half in two again. Next you cut the point of one of the quarter pieces off and reassemble the round in order. This leaves a hole down the middle that you light on fire. The fourth option, and the one I like to use is a little more high tech, and in my opinion, the best method for how to make a swedish torch. I use a chainsaw and cut the round four times to make a pattern that looks like an asterisk. Do not cut all the way through the round. That way it will stay together and serve as a cook top.